Lent is historically a time when people might choose something to “give up”, like chocolate or sweets, watching TV, or excessive use of social media. Instead, what if you used this very special season to add a new habit of meditating and connecting with God each day? Join Director of Contemplative Practices, Julie Stevens, and sign up with others for a 43 day challenge to meditate every day. Daily recordings of introductory and closing thoughts serving as prompts for timed silence will guide you through Lent. The daily time commitment will gradually grow throughout the challenge as your daily habit becomes more grounded -- beginning with just a few minutes, and ending at under 15 minutes. Even on the best of days, we all face the challenge of dealing with our own personal “disturbances” and inner struggles. Anxiety/depression, relationship and health issues, work and financial challenges, feeling a lack of control or feeling overwhelmed all make the list. But if only that were all that we faced! A polarized, demonizing, anxiety- and angst-filled culture surrounds and affects us through social media and our public discourse. Is it any wonder that we need to take time to consciously peel away these layers and disturbances that can cover over our inner, true and love-filled selves? Take a day away in the new year to join others in the beautiful and contemplative surroundings of Assisi Heights to take a deeper look at "Peeling Away the Layers to Love." 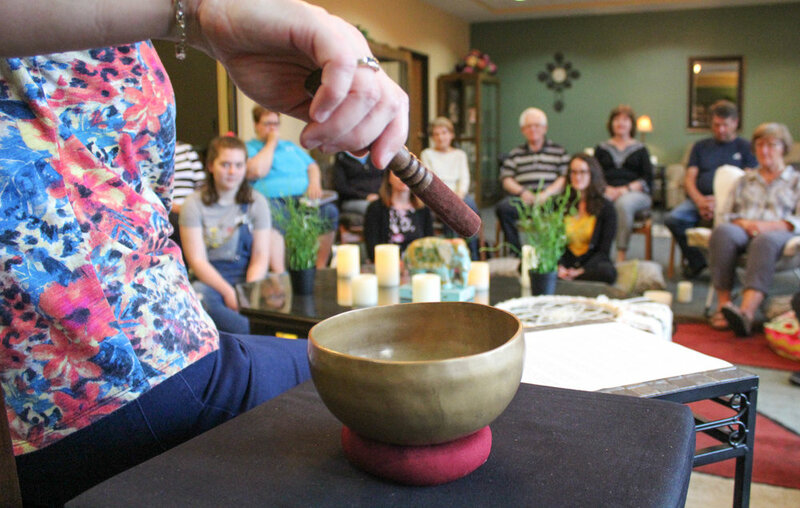 We’ll name our personal disturbances through a mindfulness meditation practice, have guided alone time for personal reflection following the practice, and discover an ability to cut the hidden strings that bind us or control our thoughts and emotions. This personal time provides a first step in peeling away layers that make it difficult for us to offer a loving presence to others, and to ourselves. We’ll also name and lament collective, cultural issues that impact us, concluding the day with practical discussions on how to peel away these types of layers from your heart and mind as well. You’ll leave with some tools and a lens through which to claim your own unique way of helping a hurting world. Joining retreat leader and guide Julie Stevens (Director of Contemplative Practices) will be guest speaker Pastor Charles Ortloff, and Gloria Dei’s own musicians Chris and Noelle Roberts. Cost of the summit is $20. Pay at the event via cash or check. Assisi Heights is located at 1001 14th St. NW, Rochester. Email julies@gloria-dei.com with questions.